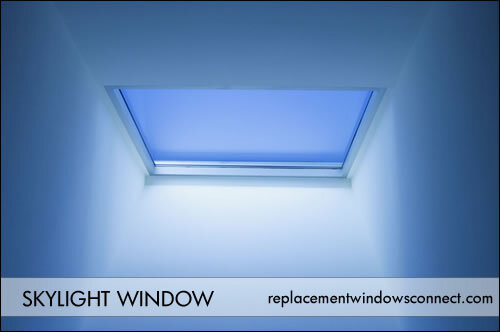 Skylight window prices range from $175 to $600 for the materials and flashing kit. Installation on the project is where the costs can really skyrocket. Skylights are one of the best ways to brighten up a room and can add a wonderful view to the sky or in the case of a country home to beautiful stately trees. Discover whether this replacement project is right from your home and budget. Economy pricing for the skylight and flashing kit tops out around $300. This will be for a smaller window, say 2′ by 4′. Most skylights include insulated glass with some type of UV protection. Mid range pricing for the skylight and flashing kit tops out around $450. This will get you more options in terms of hardware for the hand crank, window glass and whether or not the window portion opens or not (known as venting skylights). Typically this will not get you anything larger as the skylight must be placed between roof trusses which are typically 24 inches on center. High end pricing for the skylight and flashing kit tops out around $600. This price point will usually be for a unit with high end glass, hardware options and one that can be opened and closed using a remote control. Additional features on high end units include a rain sensor and mini blinds that help regulate the amount of light into the room. It will probably be a named brand, may incorporate a more modern design and may be a larger size such as 4′ by 6′. Installation costs can run $1,500 to $2,500 per unit. Roofs with a flat or slight slope are easiest to install and add the least amount of cost due to the degree of difficulty. Asphalt shingles are the simplest material to install through, while slate, metal and tile are the most challenging and most costly. In the case of custom skylights (say 4′ by 6′), a structural engineer will have to come in to insure that the integrity of the roof is maintained. Economy pricing ranges from $1,675 to around $1,900 and includes all of the materials, labor and installation and finish work. Mid range pricing ranges from $1,900 to around $2,500 and includes all of the materials, labor and installation and finish work. High end pricing ranges from $2,500 to around $3,250 and includes all of the materials, labor and installation and finish work.